Today is the day! 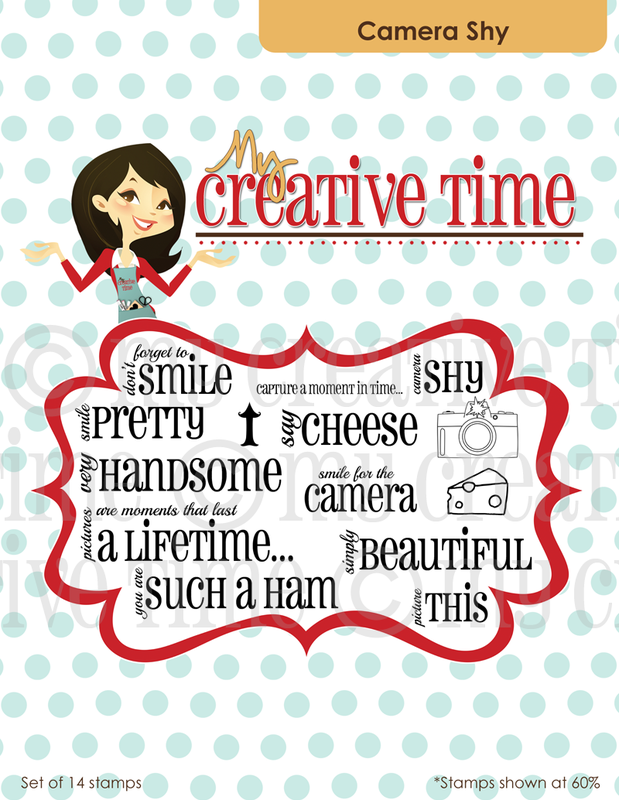 Emma is releasing four new My Creative Time stamp sets! They are all super cute, and the design team is showcasing them for you in this hop. If you haven't been there yet, head to Emma's blog to see her announcement. For my project, I decided to scrap my son's preschool photo. I just got the Imagine Vintage Papers cartridge, and I used it to for all of the patterned paper that you see here. I thought they went well with the little vintage scene in the photo. The stamp set that I used on my layout is "Camera Shy". Don't you love the big size of this sentiment? Perfect for layouts or cards! 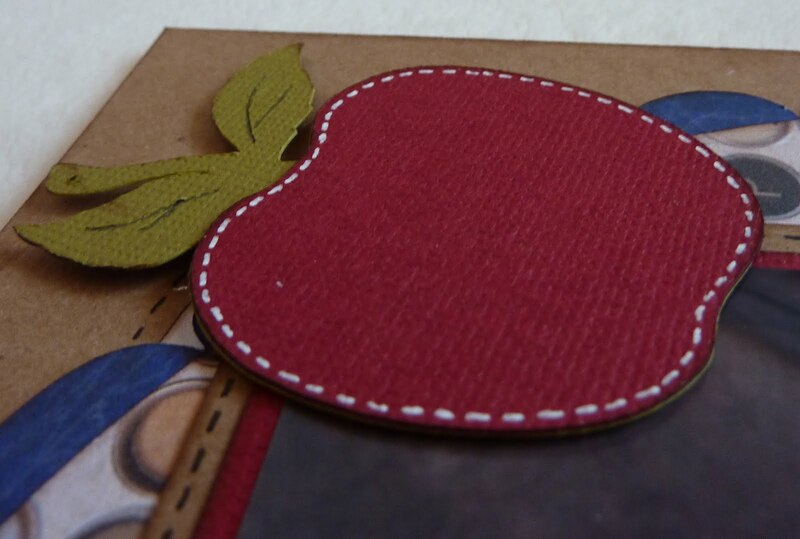 I just stamped it on some Kraft cardstock, trimmed around it, and added a vintage button with some twine. My little boy is cut at 5" from A Child's Year, flood filled with more patterns from the Vintage Papers cartridge. The apple, cut at 2.5", is also from A Child's Year. I added some stitching and popped it up with some dimensionals. My title is cut at 1 3/4" from Nate's ABCs. Here is a look at the full "Camera Shy" stamp set. Click here for ordering information and to see all four of Emma's new stamps sets! Emma is graciously offering a prize to four people who comment on each blog in this hop by Saturday night. 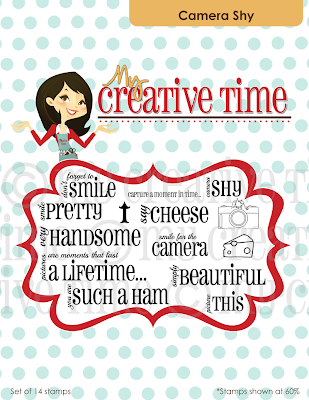 These four winners will each get to choose a My Creative Time stamp set of their choice! Your next stop on the hop is the super talented and sweet Glora! Here is the full line-up. Oh! This LO is so cute and so is your son. Great layout! Your little man is so handsome. TFS! Nice!, I am working on my boys school albums now. Katie- This is darling! Your little man is so "very handsome!" Great job on your layout!! Thanks for sharing. Wow Katie I your layout is so cute! Very cute little boy! I Love a Child's Year Cartridge:) TFS! What a super sweet layout!! Your little man is so very handsome this set is perfect. LOVE this page!!! Beautiful LO I just love the colors and the paper choices ( I need to get that vintage cartridge) Awesome stamp ing choice for a real handsome guy! What an adorable layout. Thanks for sharing and a chance to win an awesome stamp set. What a cute LO Katie! Thank you for showing and for the chance to win. Have a lovely day! Katie your layout is fabulous, You did an awesome job! Love your layout, very cute and your son is very handsome! Your stitching is perfect! TFS! So cute, what a great layout! I will give you an A+, fantastic school page. Love this layout. I was just organizing my kids' school pictures so I could finish up their albums and what a perfect layout this would be. Great layout! THe paper looks great. Love this layout! I am going to have to scraplift this one. What a great LO! I love the size of these stamps!! Katie, this is beautiful! I love the details. What a fantastic layout!!! I have 3 boys and am trying to "catch up" their albums... thanks for the inspiration! Katie, this layout is just delightful. They grow up so quickly! Thanks for sharing with us! Precious layout! Very sweet memory. Thank you for sharing. I'm redoing my girls K-12 books I like this layout only I will change "handsome" to beautiful. Thanks for the idea. What a great layout!!! it is so beautiful!! Great layout - very creative but still highlights the photo of your handsome boy! awww! I love how well this statement goes with your picture! Wonderful thanks! Wow your LO is Perfect!! Love it!! Katie your page is adorable. I love the stamps added to it you've got talent. If it wasn't for this blog I wouldn't have know about these stamps. Thanks to all of the blogs on this hop. Great job with your layout. Love the stamp you used, perfect. What a WONDERFUL layout!!! LOVE this...A Child's Year is one of my favorite cartridges - and I love kraft paper as well!!! Wow super awesome layout!! Its so sweet and I love how you used the stamp on it! Great layout and what a darling little guy! What a great layout! I love the stamps. I have been visiting you alot lately looking at your Imagine projects! Thanks for being such a great inspiration! lovely LO and love the cart. Very creative layout. You always do such great projects! what a great LO! We took similar pics like this at my sons preschool. You showed Emma stamp perfect! I love your sweet layout!! Great layout. I can't say anything that hasn't already been said. Love your layout! It's so cute! This is such a cute and special LO! Great job! Love your LAYOUT Katie. Great job?! Katie, you LO is amazing. I love the colors, and the papers. I really like that you did not use the "typcial" school colors. Love the apple and the scallop you put under the picture. 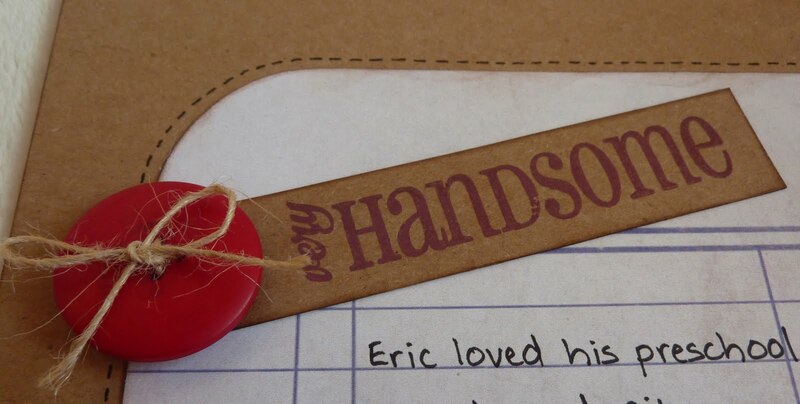 Your little guy is sooo handsome, so that stamp is perfect for your LO! Great job! This layout is beautiful and it really does showcase Emma's set beautifully!! Very cute! How do you keep your stitching so evenly spaced - I'm so envious of your skills! That is soo adorable. Thanks for sharing. Cute layout! You really are so talented. That is a very cute layout! Is perfect for the picture :0). Thanks for sharing! Have a blessed day! How cute!!! Love it. Sandy C.
really cute Katie, your son is just precious. I know you are over the moon proud of him...so very handsome!!!! great layout!!!! Super cute Lo!!! Love these stamps!!! what a great layout! Love the colors. sentiment is awesome. Cute layout, reminds me that i need to get moving on my layouts for my kids school pictures. Love your colors and sentiment too! oh my goodness Katie, your layout is adorable! Your layout is just AMAZING! First I LOVE the picture of your son! What a cutie! I love the papers you chose! OMG! I love how you place all the cuts, the picture, the stamp and especially the journaling! I always tell people it is so important for our children see our handwriting! Great job! So funny you chose this to scrap ~ my son just graduated today from pre-school! As always LOVE everything you create! First, love the simpliciy of your project and that stamp set is my 2nd favorite of the new releases. Very cute layout! I love A Childs Year! Emma's new stamps just fit perfectly! This layout is awesome! I love the vintage look! You did a great job! BEAUTIFUL Layout! I love that stamp set. May have to purchase! Thanks for sharing. Great layout. I love the colors you chose to complement the pic. and the stamped sentiment is perfect for this layout. Love this!! I just may have to copy this LO. It is perfect. You did a very nice job on your layout. thanks for sharing. I love your layout ! I have a new baby grandson so I get to do boy stuff again and its so great to see some boy ideas !!! Great job !!! Very cute layout. I love all the detail you did and how you used these great new stamps. Beautiful!! Lov your layout. I also love the cartridge, my sister has this one and ever now and then I borrow it. Awesome layout Katie. I love the colors perfect. This is just an adorable layout!! Love it! Wonderful job on the layout...your stitching shows up well on the red and looks so pretty. Thank You for sharing in the hop. Love this layout! Awesome job with the sentment. What a cutie! Thank you. A very nice layout. One you will treasure for a very long time. You have a very nice looking son. What a wonderful layout!! Love your color choices and well, just everything about it!! I'm waiting for Vintage Papers to come so this really inspires me to use it when it gets here!! Thanks for the chance to win!! Love your use of colors and the way the papers pop off the page. Fabulous layout--I like the silhouette and the sentiment on kraft. What a cute layout Katie!! 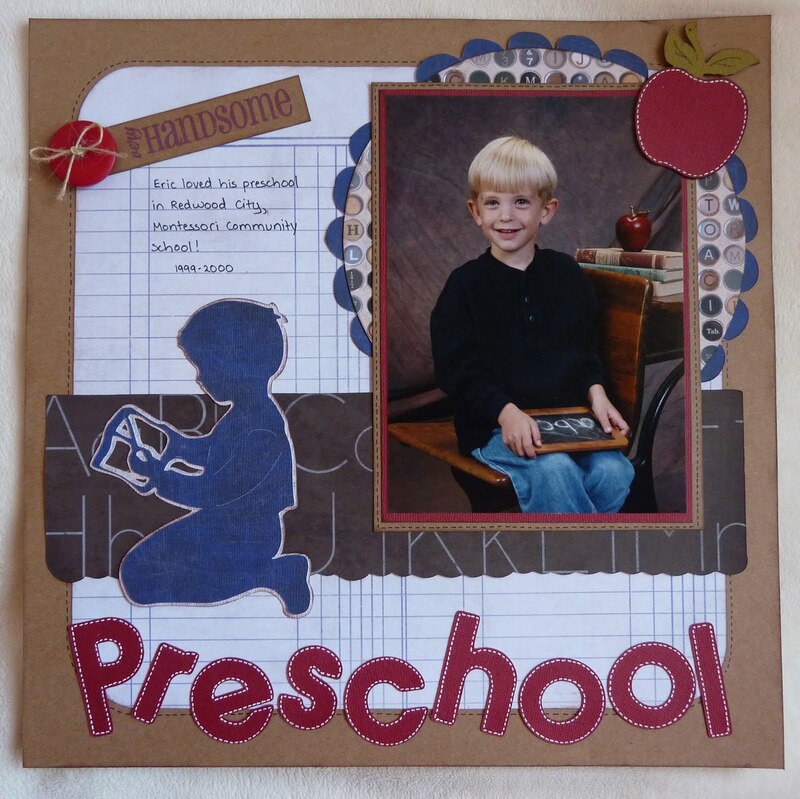 How cute is this layout and that little boy - great use of Emma's stamps!!!! Miss emma is right, you are very talented, love the pic and de LO of course. Love the layout.The stamp you used is perfect for it. 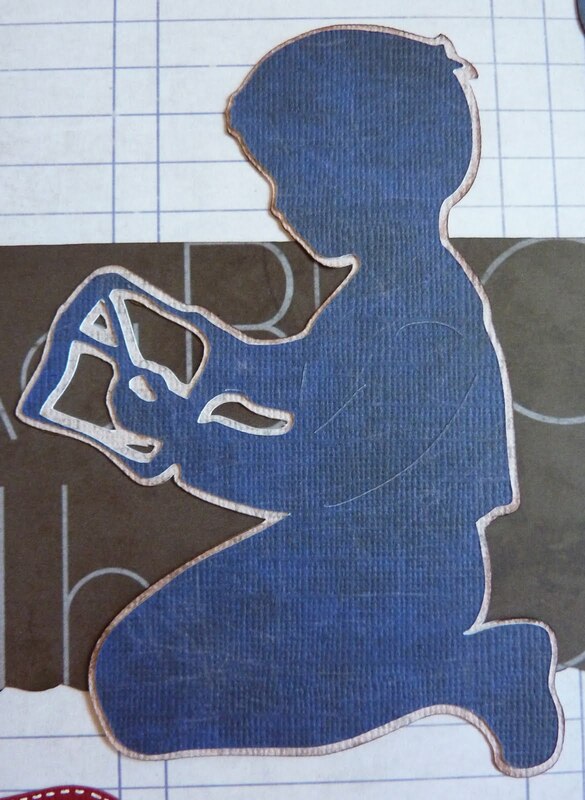 I love the little boy silhouette! The stamp adds just the right finishing touch! Geat layout! What a fabulous layout. I just started getting back into doing layouts after becoming so obsessed with making cards. I've got five kids worth of school pictures to take care of and this will serve as inspiration for me. Thanks! Wonderful layout!!! Gotta love those school pictures!! Thanks! What a sweet page! Your son is adorable! He is sooo handsome!! Great layout!!! I just love your LO! Inspires me to get scrappin' again:-) Thank you for sharing. What a great layout! The stamps work perfectly with it. What a beautiful LL. TFS!! Fantastic layout and I love this stamp! Very cute, those stamps are a great size for pages! I love this layout! TFS!